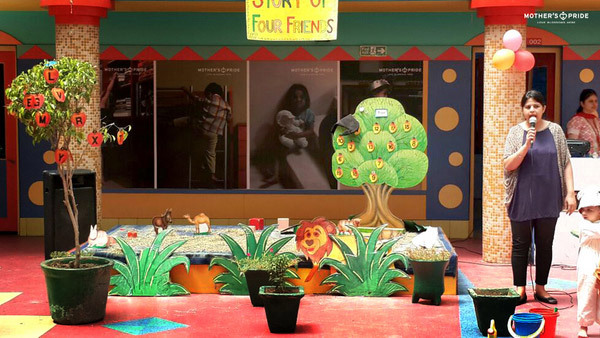 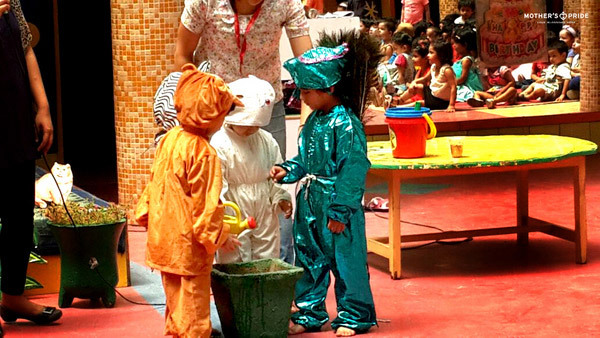 To stimulate creativity, imagination and thinking skills amongst children, we conducted the dramatization of the story “THE FOUR FRIENDS”. 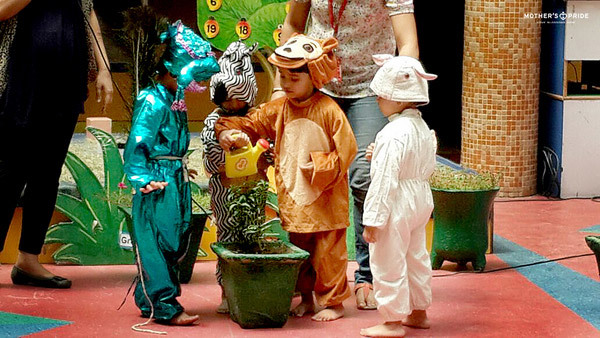 Dramatization includes various characters, which helps in improving memorization and observation skills along with building good attention span of the children. 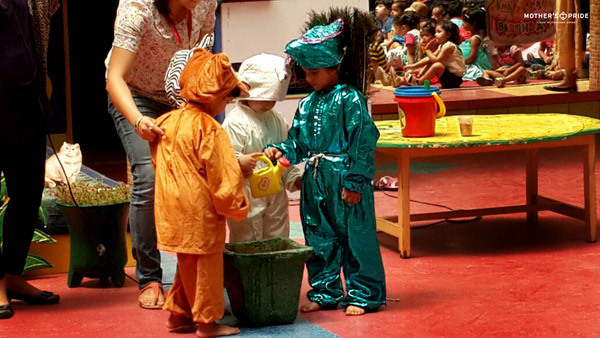 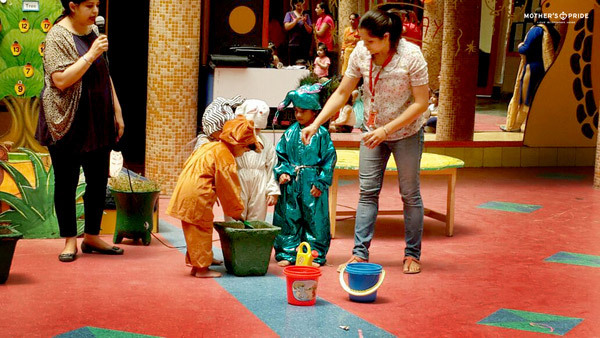 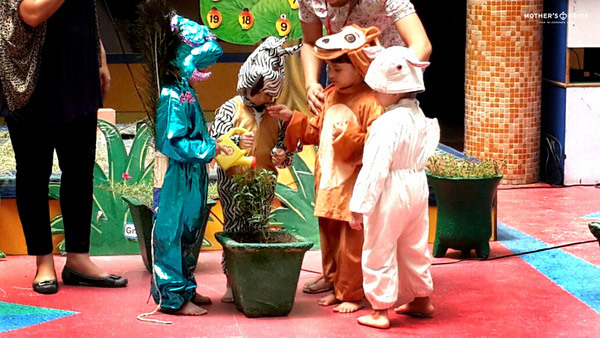 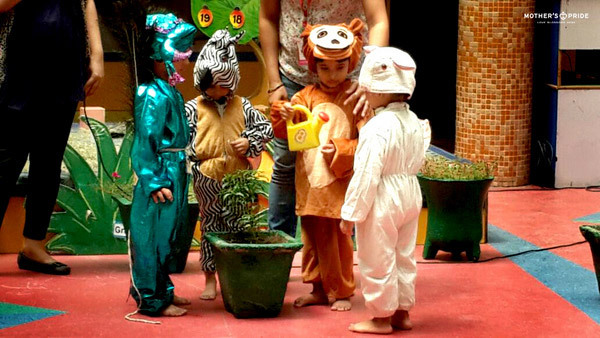 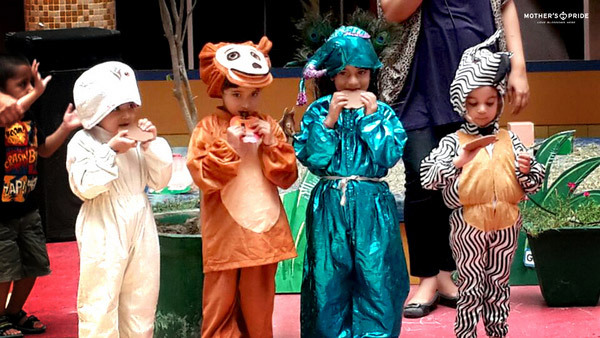 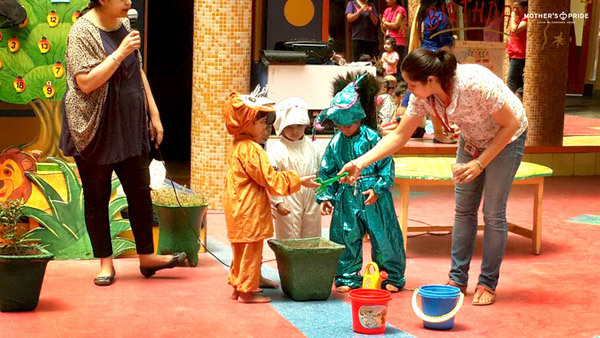 Children were very attentive and inquisitive during the story telling as they watched their friends dressed in various characters .The teacher used voice modulation to make the characters and story dramatization came alive for the children, making it relate able. 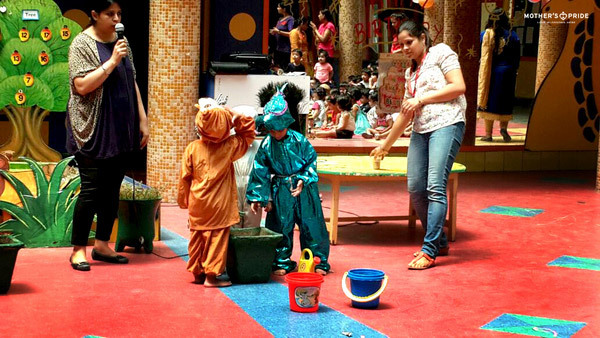 We too heard various stories, as they actively engaged to narrate and share small events, short self made stories and experiences. 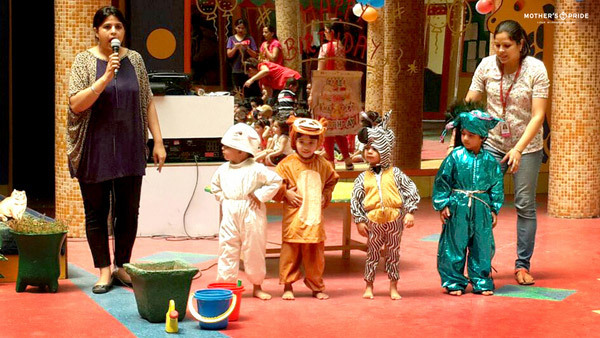 The activity helped built their vocabulary too.They learnt new words and also got familiar to the usage of various words in different context. 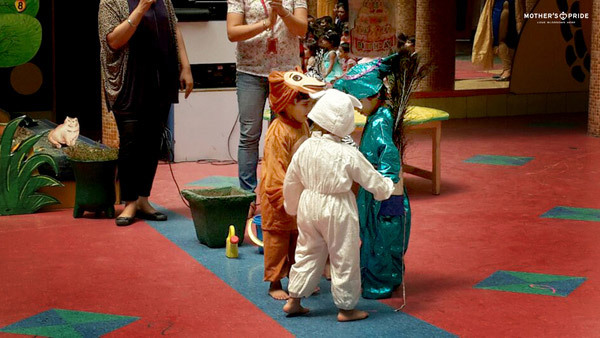 It was a day filled with fun, laughter and stories.